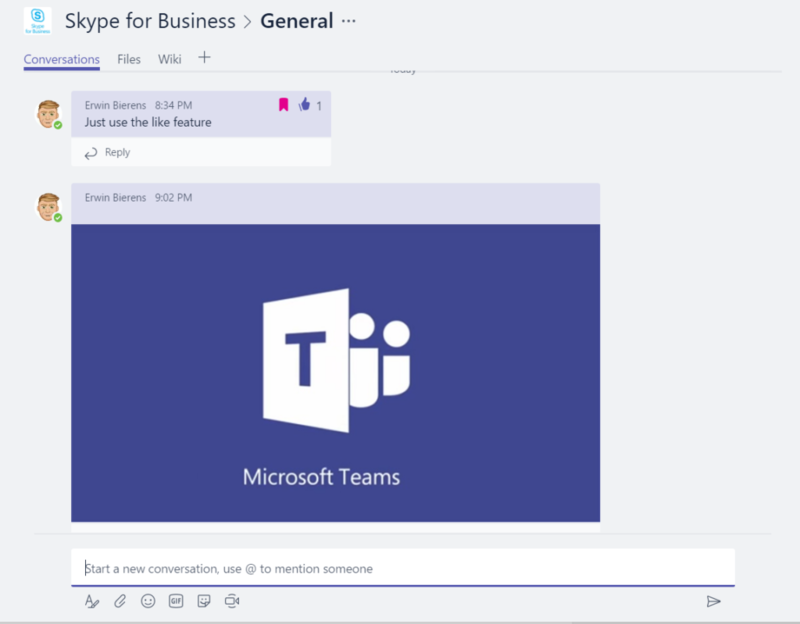 Why Microsoft Teams is so great! 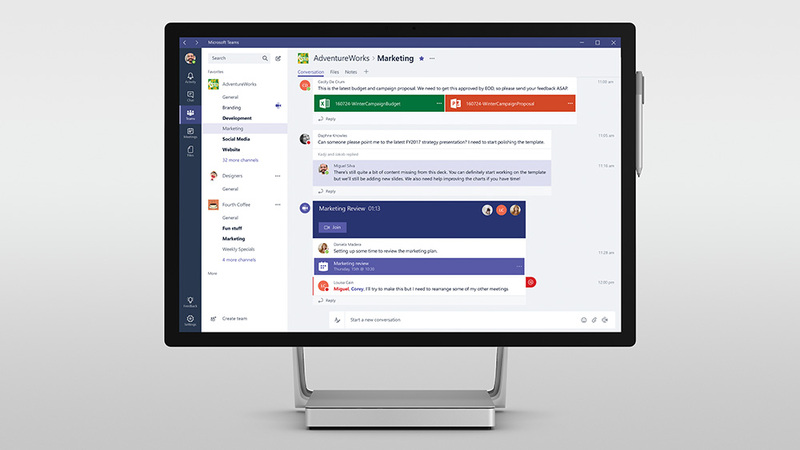 Microsoft Teams is a relative new tool in the Office 365 suite. Teams is combining Office 365 Apps in one tool to facilitate collaboration and communication for groups or you probably can guess, teams. There are several applications on the market like Slack, Azendoo and HipChat but in my opinion they are missing some great integration with all the Office 365 Apps. Below some reasons why i choose to use Microsoft Teams at Work. Like i said above, Teams is a collaboration tool, Teams itself doesn’t hold (much) content, It displays content from multiple apps (like Skype for Business, SharePoint, OneDrive, OneNote etc) in one app or even your web browser. 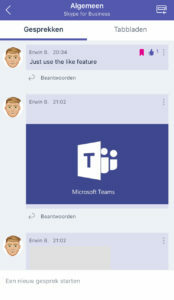 My work changed a lot in using Microsoft Teams. Normally i used Outlook on a daily base for sharing internal content and talking about ongoing projects with project managers, putting my documents on SharePoint librarys per project and was creating meetings from my outlook (Everytime missing people from the project group :( i think this is the daily strugle). With the use of Microsoft Teams my mailbox time is reduced and only for external communications right now. We’re using separate Teams per project. Within a team we’re using a default setup for channels so everyone knows where to find the information they are looking for. I want to highlight some features i really like to use. Some people I spoke with, talking about Persistent Chat in Microsoft Teams. Chat conversation are persistent even when all the members are offline. So, it’s easy to track down what was mentioned last week or month by another (ex)team member. Conversation are permission-based. When leaving the team, you don’t have access anymore to the chat history. When added later to a team, you can read back the history from the other members. To avoid everyone replying to your message with for example: nice, thumbs up or great! (this can be alot with big teams) you can use the Thumbs up (like) button to show your support. You can also mark a message to be saved. You can find the saved messages in your profile later. Microsoft is providing a large list of app integrations in Teams. All your added programs show up in the tabs on top of your Channel. One feature i like a lot is that you can find your Team in Skype for Business client. Once added to your contact list you can see quickly the presence of your Team members. 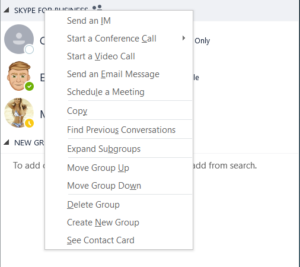 With a right click on the group in your Skype for Business client you can quickly do some actions: * Start a conference call (all group members); * Start a Video Call (all group members); * Send an Email Message to all group members; * Schedule a meeting with all group members. See for yourself, it’s looking almost the same (Windows Client and iOS App). With the tabs in a channel you can easily build your own structure. * For example; use planner to keep tracking tasks; * Share your notes in OneNote; * Link you SharePoint directory. In my opinion and working field we’re missing a couple features in Teams. Teams presence based on Skype for Business presence. 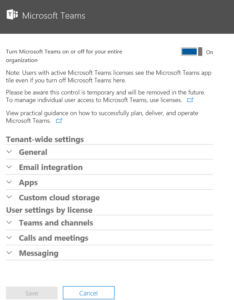 So, are you already using Microsoft Teams?